If you'd like to read the first chapter... click here to download the pdf! 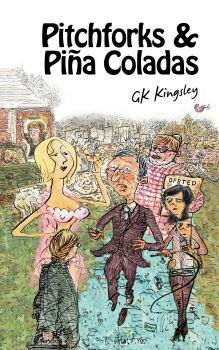 Set within the idiosyncratic workings of a small English village school, Pitchforks & Pina Coladas is a humorous tale with a message which plays on the gaping divide between urban attitudes and every day rural life. 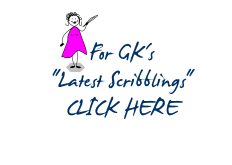 If you would like to receive updates of my 'Latest Scribblings' and be notified when my next book is available, then please join my mailing list! Brilliantly funny. Laughed out loud! Held me to the end. Can't wait for book 2. Fantastic read, especially if you have ever experienced an Ofsted inspection - GK has an excellent way with words and descriptions. Look forward to the next one and in the meantime, her "pick-me-up pearls". Great novel, and a recommended read. To summarise, laugh out loud humour, wit, and erudition make this a "must read" book. The only question is when the next in the series will be published.